My basil plants went nuts this year! 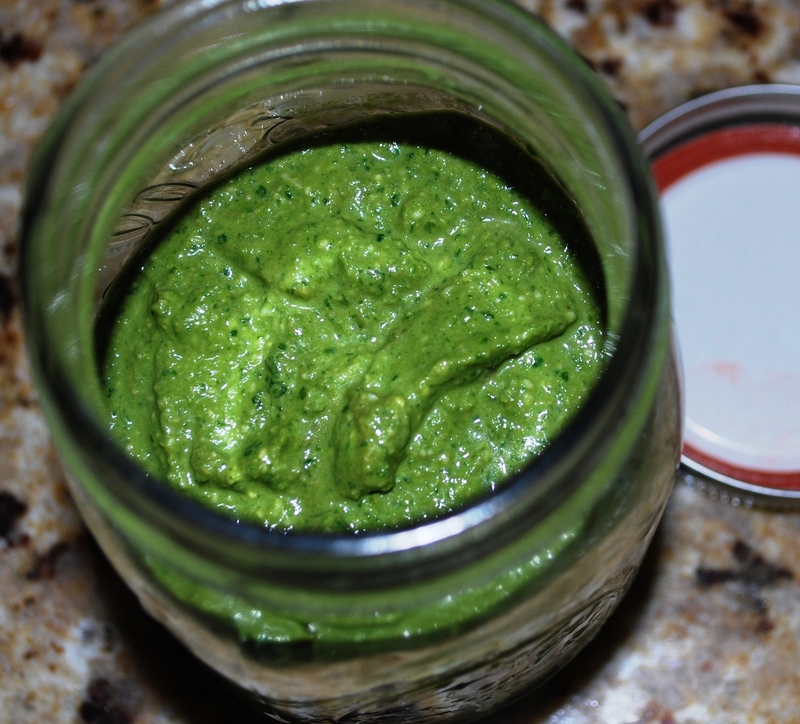 Since it is getting so hot I needed to use it before I lose it so I made a pesto that is perfect for serving over pasta, chicken, fish, crostini and whatever you can imagine. I didn’t add as much olive oil as a traditional pesto has, but you can do so if you like. If you would like to make it creamy add a plain yogurt. Makes about 1 cup. Add all ingredients to a food processor and combine. Refrigerate until ready to use. Use the same day made.